Alpha Beta Gamma is an international business honor society that has slowly been making its presence known on the SUNY Broome campus over the past few years. Our Kappa Beta Chapter has been working hard to help the community, and, more importantly, fellow students right on our campus. 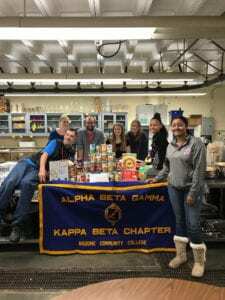 On Sept. 28, 2018. we had a food drive to help support our very own Food for Thought pantry that is available through Student Activities. To help the Food for Thought pantry, we not only asked faculty and students to bring in donations of canned goods and other nonperishable food items, we also sold hot dogs, popcorn, cotton candy, chips and a variety of drinks. By doing so we were able to raise and additional $112 for the on-campus food pantry. We are very proud of the work that we did to help other students and we hope that in the future we can help more local organizations! 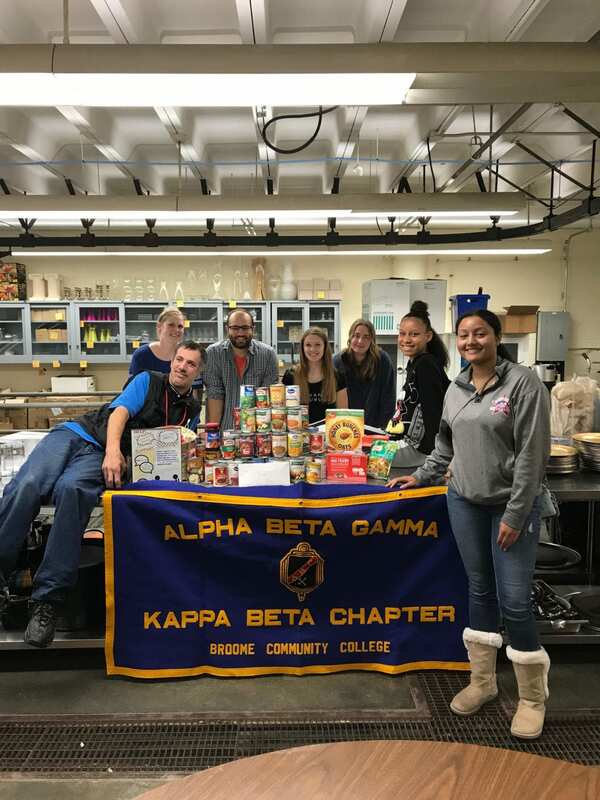 Members of Alpha Beta Gamma, the Business Honor Society, raised funds and donations for the Food for Thought food pantry on campus.